Soon after the upscale Alaqua Lakes community was fully constructed in 2004, homeowners noticed deep potholes, large cracks and depressions in the main road leading into their community and on surrounding side streets. When residents complained, the developer told members of the Alaqua Lakes Community Association that the roads were simply old and that residents were overwatering their lawns and the runoff from water was flowing underneath the roads and causing them to fall apart, according to court documents and attorney Paul SanGiovanni, who represented the association. Now, a Seminole County jury has disagreed and awarded $3.8 million to the Alaqua Lakes Community Association against developer Taylor Morrison of Florida Inc. for negligence in the design and construction of the community’s approximately seven miles of roadway network. Last week’s verdict is the latest chapter in the decade-long lawsuit. And it’s likely the homeowners eventually could receive an additional $2.5 million as part of a final judgment. That award money will be used by the association to entirely rebuild the roadway bed of Alaqua Lakes Boulevard and repave the top layers of surrounding streets. Home in Alaqua Lakes neighborhood in Seminole County. “This is an important decision because it allows communities to know that if they have an issue with the development of their community, the courts are there to give them redress and relief,” said SanGiovanni, of Morgan & Morgan’s Business Trial Group. Representatives for Taylor Morrison of Florida and the company’s attorney didn’t return calls for comment. 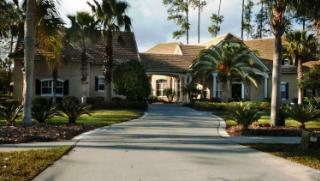 Tucked between the Wekiva River and Markham Woods Road, the gated Alaqua Lakes subdivision — with an entrance at West Lake Mary Boulevard — is home to some of Central Florida’s well-heeled residents. Construction of Alaqua Lakes started in the late 1990s on mostly wetlands just east of the Wekiwa Springs State Park. The original developer was Taylor Woodrow Communities, which later became Taylor Morrison of Florida. The seventh and final phase of the 500-plus home community was completed in 2004. That year, the community association hired a civil engineering firm and other consultants, who determined that Alaqua Lake’s roads were falling apart because the faulty design and construction of the streets’ underdrain system allowed groundwater to seep into the base. Typically, roadways require asphalt resurfacing about every decade. However, the Alaqua Lakes community was unable to resurface its private roads because of the faulty multi-layered road base, according to court records. Also, stormwater inlets were improperly installed and allowed soil and other debris — including trash — to wash into the system, forcing the community to spend money to clean it, according to the lawsuit. The suit was originally filed in October 2008, and the jury’s verdict was reached Thursday after a three-week trail. “This has been a long battle with Taylor Morrison, and we’re relieved that the jury clearly understood the defective design and construction of our roads and the substantial costs we’ve incurred and would have had continued to incur, because of it,” Chris Dumas, resident and chair of the Alaqua Lakes Community Association’s legal committee, said in a statement.